King County Park will be on site Monday through Wednesday, December 10-13 as the weather permits, on the Burke Gilman Trail in Lake Forest Park to conduct stump removal operations. The work is expected to take three days, but may be scheduled later if weather dictates. 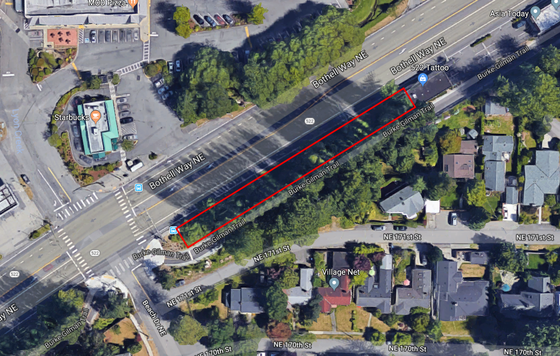 Either way, any people biking, walking, or running on the Burke-Gilman Trail in Lake Forest Park near the site noted below should expect traffic control and occasional short delays of up to 15 minutes. Cyclists may be asked to dismount their bikes and walk as they are escorted through the construction area by flaggers.